Kyle Harvey (born May 18, 1993), better known by his stage name and mononym Kyle (stylized as KYLE and formerly known as K.i.D), is an American rapper from Ventura, California. He is signed to Indie-Pop and Atlantic Records. He is best known for his breakout single "iSpy", featuring American rapper Lil Yachty. Kyle's work group, "The SuperDuper Crew" consist of members such as "Brick", "Jesus", and "Max". 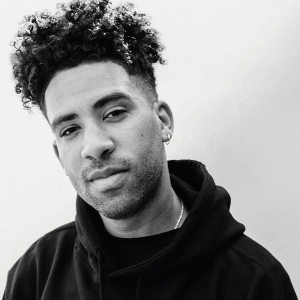 Kyle has collaborated with artists such as Kehlani, Lil Yachty, G-Eazy and Chance the Rapper, among others. Some of his popular songs include "iSpy", "Keep It Real", "Doubt It" and "King Wavy", released in 2015 and 2016, respectively. In 2015, Rolling Stone named him as "one of the ten artists you need to know."